Very rare Bruce Lee signed photo, with a personal inscription to his early protege, Herb Jackson. 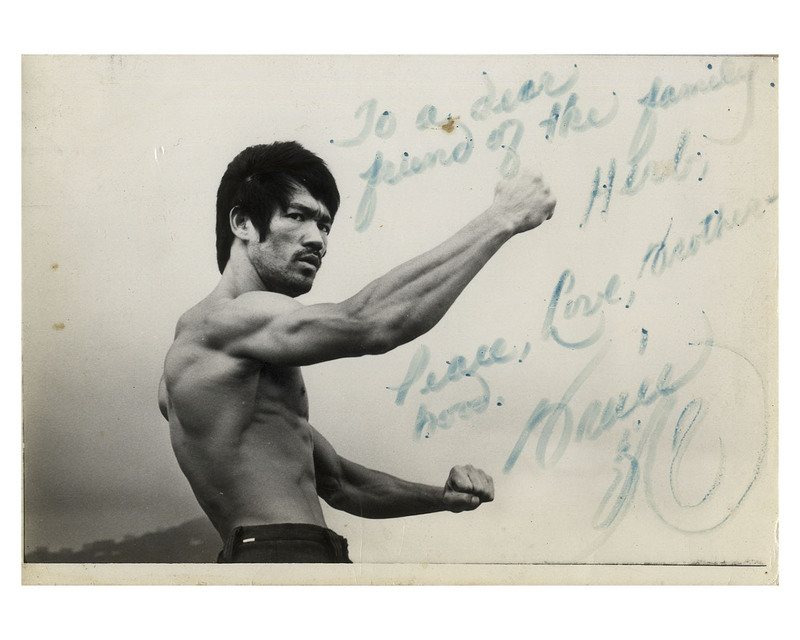 Lee inscribes the photo, ''To a dear friend of the family, Herb, Peace, Love, Brotherhood. 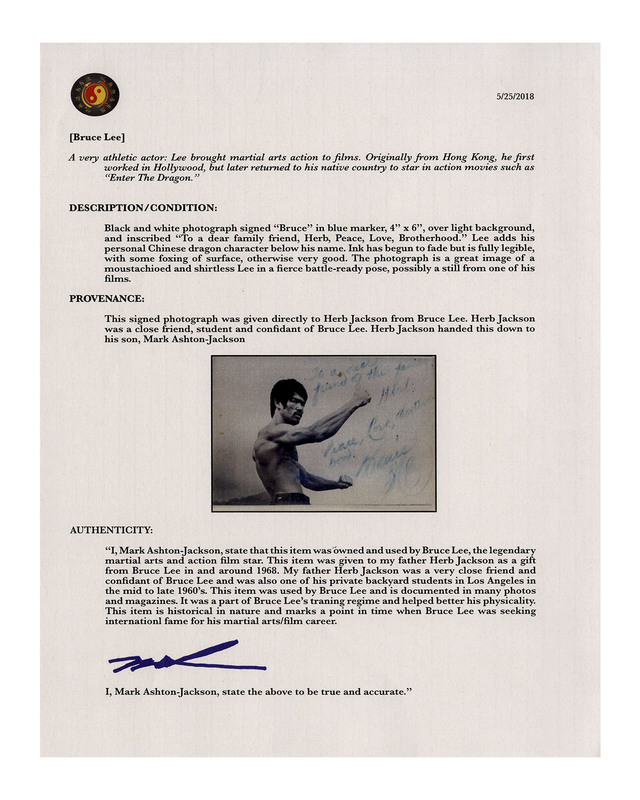 / Bruce''. Bruce Lee then adds his personal Chinese dragon character below his name. Glossy photo measures 5'' x 3.5'', inscribed in teal-colored marker. Light edge wear to right side and light fading, overall in very good condition. 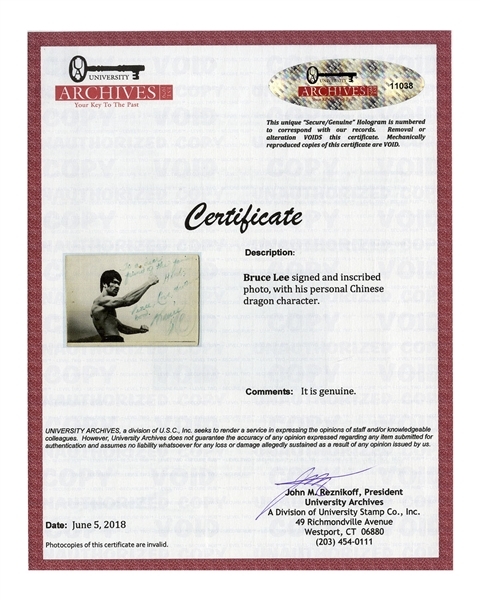 With a COA from University Archives, and also a COA from Herb Jackson's son.